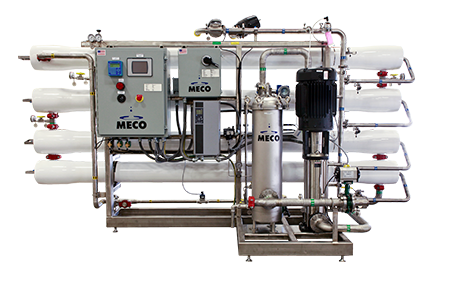 MECO carbon filtration systems are designed for the removal of chlorines or chloramines from various water sources used in the biotechnology, pharmaceutical and life sciences manufacturing industries. 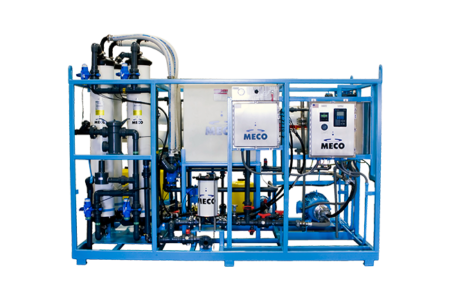 The MECO carbon filtration system is offered as a pretreatment process which strips the water of chlorine or chloramine before the water enters into a reverse osmosis membrane, multiple effect or vapor compression distiller. 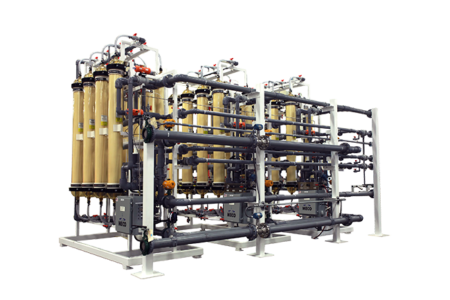 Carbon filters can be provided individually or as part of a total water treatment solution. 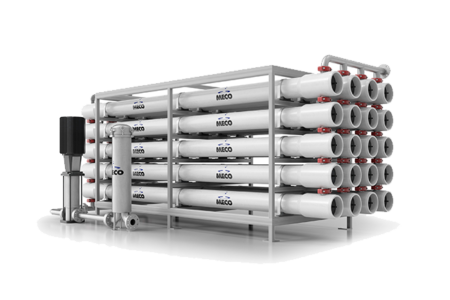 MECO Carbon filters are designed specifically for your application using fiberglass, PVC, or stainless steel in the materials of construction. 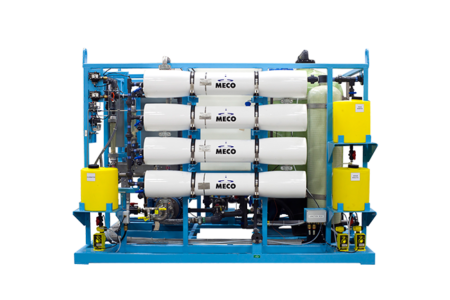 Dependent on your effluent water quality required and feed water analysis, a MECO representative will recommend the best solution for your pure water needs. 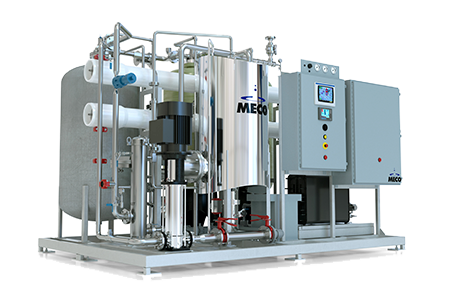 Furthermore, each filter can be equipped with the MECO smartANALYTICS® package, a system of features that provides even greater value. 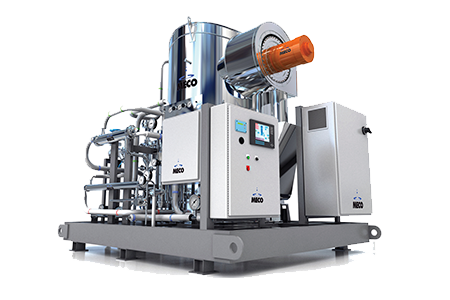 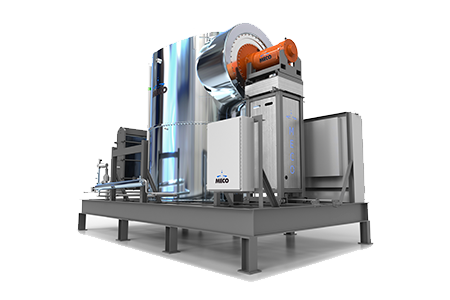 Using a carbon filtration system in your pretreatment processes for your pure water production needs can provide a tremendous number of advantages and improve the quality of your product. 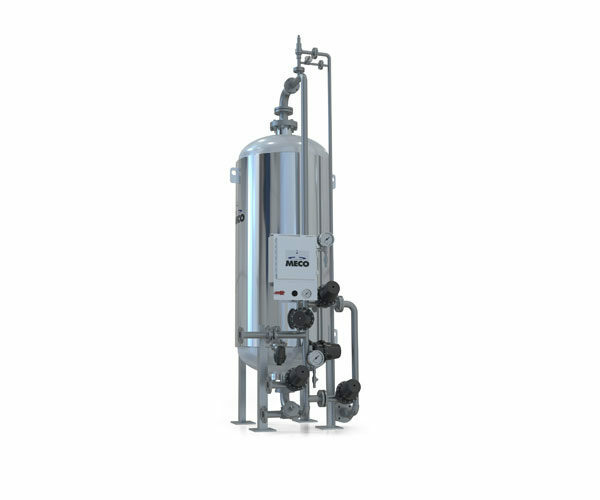 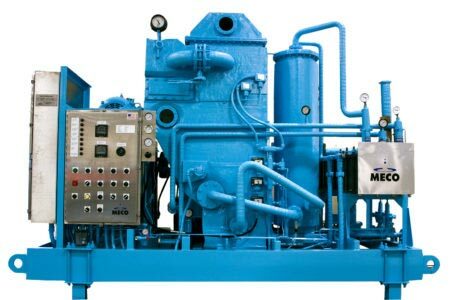 One of the most important features of a carbon filter system is the removal of chlorines or chloramines to prevent degradation of the membranes in reverse osmosis systems or chloride stress corrosion cracking of stainless steel components in distillers. 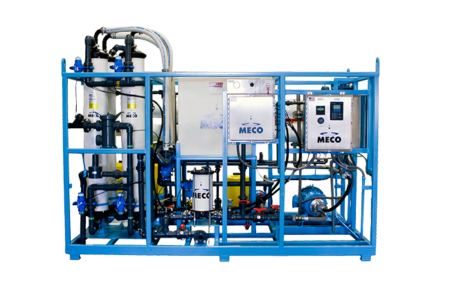 Having a MECO carbon filter in your pretreatment process allows for a cost effective and reliable solution for the production of Purified Water, Highly Purified Water and Water for Injection (WFI) that meets or exceeds industry requirements.